In this tutorial, I’ll show you how to create a color-changing lamp with Intel Galileo. You’ll convert from a temperature to a color on an RGB LED. You can also build this project with an Arduino, pretty much the same way. If you’re new to this board, check out how to get started with Intel Galileo. Connect the RGB LED onto a breadboard. 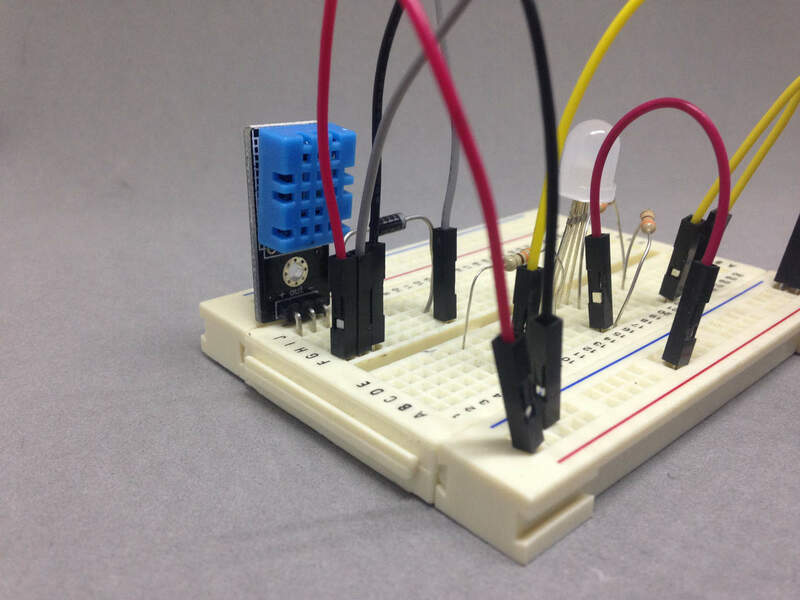 Connect the common pin to 5V. Add a 330 Ohm resistor from each of the color pins, and use jumper wires to connect the three of them to pin 9, 10 and 11 on the Galileo. I used three 330 Ohm resistors, but the voltage drop of the three light-emitting diodes are not equal. Mine had a 2V diode for the red, and 3.2V diodes for the green and blue. Which means that in a perfect world, you should have a different resistors value for the red pin. But it works fine with 330 on all of them. You can learn how to calculate resistor values here. The DHT11 sensor is pretty straightforward. But it uses a one-wire interface that causes a problem for the Intel Galileo. The problem is that the one-wire interface requires one pin to be switched back and forth between being an input and an output. Note: Different modules have different pin placements. On mine, the data pin is on the middle pin. On others, it’s on the left or right. 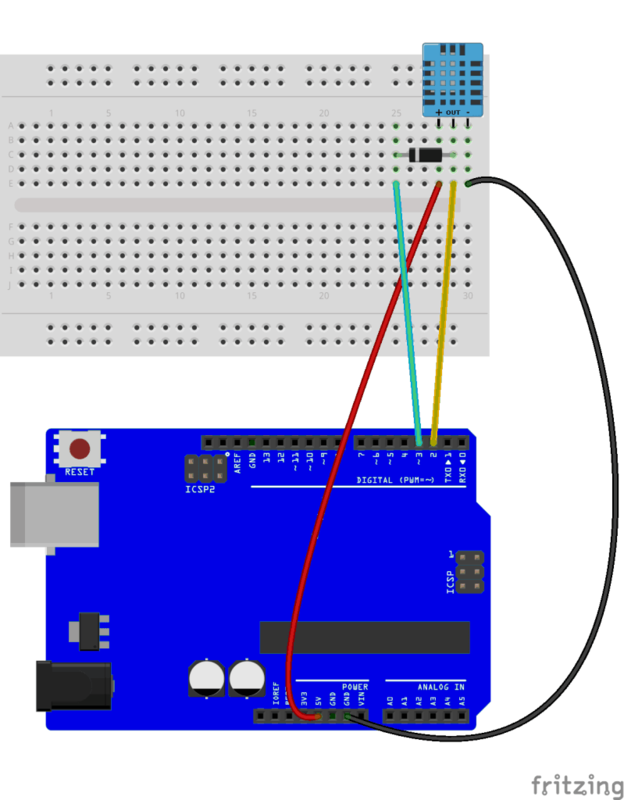 Learn how to add custom libraries to Arduino. // Check if any reads failed and try again. Whats the meaning of the RGB attached to the LED (light -emitting diode) ? The RGB diode is there to create the colors. 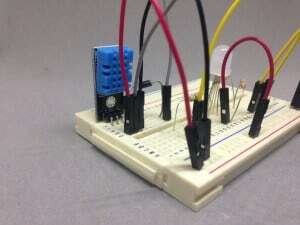 YAA IT’S VERY INTERESTING, TO HAVE VERY CREATIVE CIRCUITS BY MAKING OURSELF. Will this code work with an Arduino board?